The Nissan Leaf was by far the most popular electric car model in Norway in 2012 selling more vehicles than all other models combined. In 2012, the Norwegian market for new electric passenger vehicles almost doubled to 4,358 cars. The Nissan Leaf was the most popular electric car by far selling more vehicles in 2012 than all electric cars sold in Norway in 2011. The Mistubishi i-MiEV was the second most popular electric car in Norway in 2012 – it was the top seller in 2011 but is fast loosing market share. The Toyota Prius was the most popular plug-in hybrid in Norway in 2012. It was no surprise that the Nissan Leaf has been the most popular electric car in Norway in 2012. The Leaf has taken the market by storm since its launch in 2011 despite the relatively high price compared to regular petrol-driven cars. By December 2012, the Nissan Leaf has been the 13th most popular car model in Norway – it has since entered the top-ten list in early 2013. The Leaf took a 57% electric car market share, which is even more dominant than the 47% the Mitsubishi i-MiEV enjoyed in 2011. 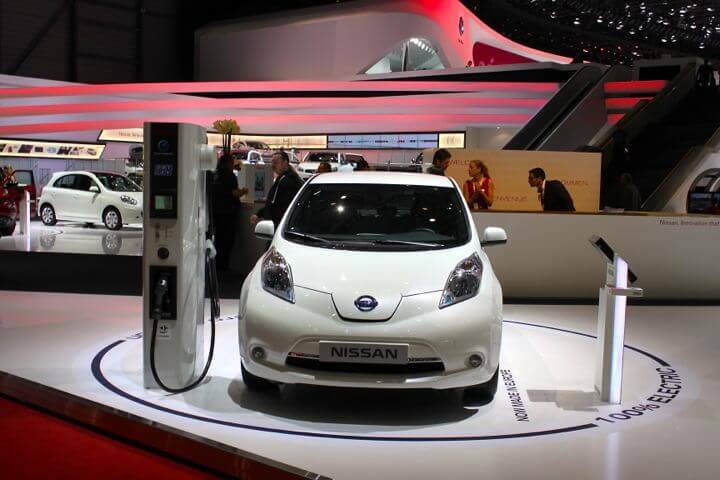 Sales of the Nissan Leaf in 2012 were higher than all electric cars combined sold in Norway in 2011. The Mitsubishi i-MiEV was the most popular electric car in Norway in 2011 and was still performing above expectation this year in the face of the more efficient Leaf. Its technologically similar siblings the Citroen C-Zero and Peugeot iOn managed to increased sales but the French manufacturers were rumored to move cars not selling elsewhere in Europe to Norway at sharp prices. The Nissan Leaf and the trio left only 5% of the market for electric cars in Norway to other manufacturers. Only the Tesla Roadster is still of significance here while the Tesla S is keenly awaited in Norway and expected to give large German sedans sharp competition. Sales of other early movers such as the Buddy, Think City and Tazzari are falling to insignificance. In 2012, 344 plug-in hybrid cars were sold in Norway: 176 Toyota Prius, 159 Opel Ampera, 3 Chevrolet Colt, and 6 Fisker Karma. High fuel prices and a relatively well-off population have helped to propel Norway to a leading market for electric vehicles. In Europe, only Italy and France are considered to have more electric cars on the road. The total Norwegian new car market in 2012 comprised of 137,967 vehicles, of which 4,358 were electric cars. In comparison, of the 3,082,504 cars sold in Germany in 2012, only 2,956 were electric. Almost all electric cars in Germany were registered to business or research institutes – in Norway Gronnbil estimates 76% of electric car sales in December 2012 were to private owners. Neighboring Sweden has a car market twice the size of Norway but less than a thousand vehicles were electric cars in 2012. Early indications are that 2013 will be another good year for electric cars in Norway. Nissan has announced a price decrease for the Nissan Leaf in Europe and the Leaf has entered the top-ten list of best-selling cars in Norway. New models such as the Tesla S and Renault models will cause further excitement. The German onslaught probably has to wait until 2014 and later.